Open house at the horse center will be held on Nov. 25, the day after Thanksgiving. The familiar squeak of a leather saddle punctuates the air at Misty Meadow farms in West Tisbury. There is a quiet calm over the indoor ring, as Emma McGlynn puts her 20-something Dales pony named Star through his paces, learning how to step forward and back, forward and back. Sarah McKay is working with her nine-year-old Thoroughbred Simba, who is retired from a race track life at Suffolk Downs. He is calm too, dozing on his feet.“Mr. Chill,” she said. Things are about to get a lot busier at Misty Meadows. 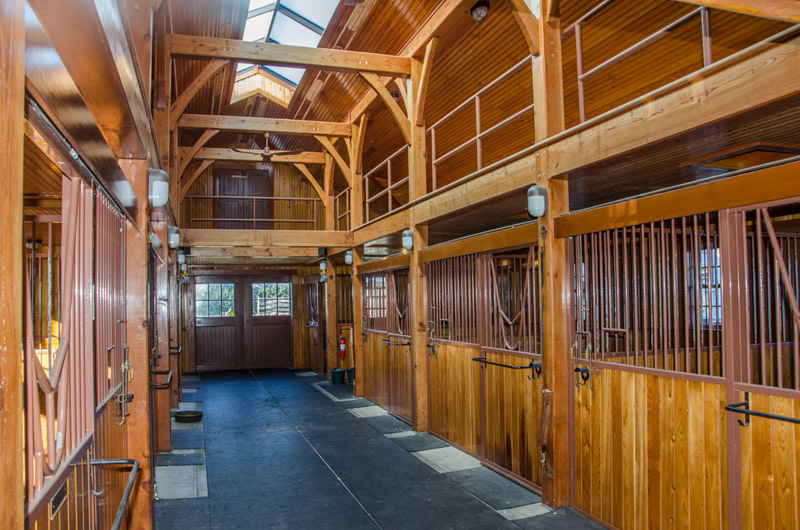 Thanks to an extraordinary gift from Jerry and Carol Kenney, owners of the showplace farm, the property will soon transfer to a newly-formed nonprofit organization. And the Martha’s Vineyard Community Horse Center will be off and galloping. It will be a place modeled loosely after Sail Martha’s Vineyard, where Island kids can learn to ride and care for horses without forking over a small fortune. Kenney family originally planned to sell the land at a below-market rate. 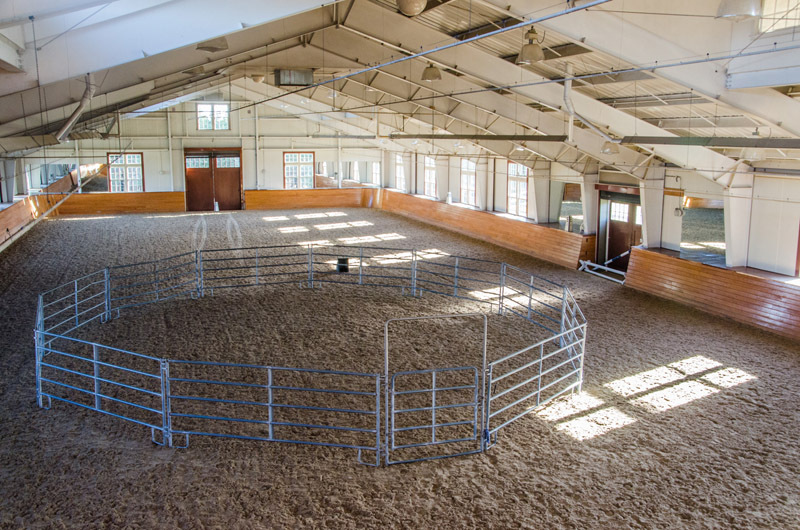 When the idea was conceived last year, the Kenneys offered to sell the 14-stall barn, luxury home and surrounding paddocks at well below market price. Fundraising was going well, with generous benefactors making donations to get several pilot programs started last winter. Then the Kenneys, who live here for part of the year, spent some time watching a group of girls participate in one of the pilots, an equine-assisted learning program. Twelve young girls from different schools on different parts of the Island participated. One of the lessons was about setting boundaries and limits. The girls built barriers using cones and poles to create a safe space. Using their voices and their body language, they had to keep the horses from going inside the barrier, even though the group leaders were tossing apples into the space. Apples are like candy to a 1,000-pound horse. When a 75-pound girl learns how to take command of a situation like that, it’s an empowering feeling. Carol Kenney became excited by what she saw. So the couple extended their philanthropy from selling it at a discount to donating the entire property to the fledgling program. An open house, complete with pony rides, is planned for Friday, Nov. 25, the day after Thanksgiving. “Our heads are spinning,” said Rebecca Miller, one of dozens of volunteers who organized the pilot programs, raised funds, loaned their horses, got training and taught classes at the Community Horse Center. With little advance notice, 40 Island girls signed up for the equine-assisted learning program at the facility last winter. Organizers had to use a lottery system to accept just 12, the most they could accommodate. Ms. Miller said the pilot class was successful beyond her imagination. This winter, the Community Horse Center will be able to handle more Island kids, with groups coming in five days a week. Plans are in the works to expand to nights, weekends and school vacations, if possible. Still, the demand is already too high for them to handle all the kids who want to participate. Fundraising continues. Ms. McKay said a three-year capital campaign will begin early next summer. “Hopefully at the end of three years, there’s enough funds in the endowment to support things going forward,” she said. 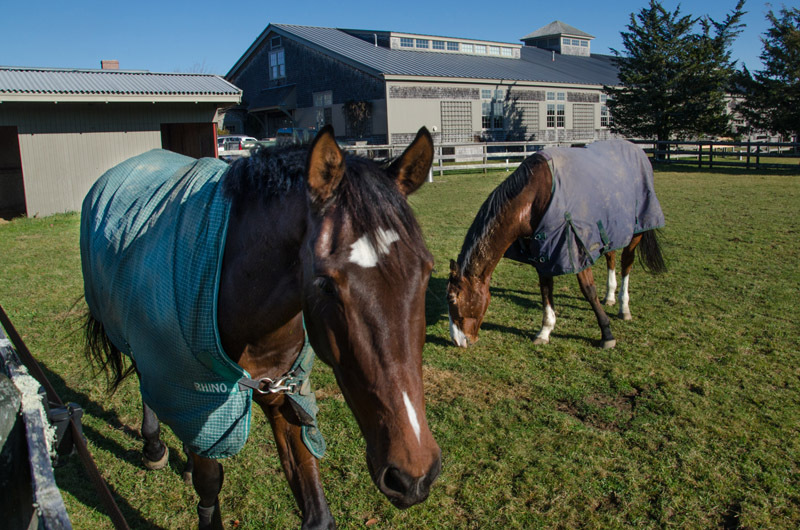 When the pilot programs began last winter, organizers said some in the Island’s horse community were concerned that the Community Horse Center would disrupt other farms or riding programs. Mrs. Kenney said she was amazed recently when she watched a group of teenagers get into a round pen with several horses. The kids observed how two of the horses ostracized a new horse, and bullied another with aggressive behavior. The instructors asked the group if they have seen kids do the same things to other kids. She said she was especially moved by a group of preschoolers who visited the farm just a few weeks ago. The instructors showed them how to use their voices to connect with the animals. They saw how the horses reacted to shrill, high pitched sounds. They saw the difference in a horse’s reaction to a loud voice and a soft voice. I am so thrilled to see this program progress and, once again, the remarkable generosity of an island family realizing its potential and giving so much to these youngsters. From elementary school through college, riding and caring for these beautiful animals, my daughter found so much peace and confidence from the stresses of academics even though she never owned her own horse. This is truly a blessing and life changing gift to the island. Many thanks to the Kenneys and all those volunteers. The Kenny's faith in this group is well-placed, and the Kenney's generosity is something amazing. Thank you all so much! Congratulations! Great news! I travel to the island to work as a saddle fitter several times a year. Tracey Olsen and her Woodbe Farm gang- a very successful training facility- have been involved and so very excited. I'll come support/volunteer any way I can. Thank you Carol and Jerry Kenney for your generosity. 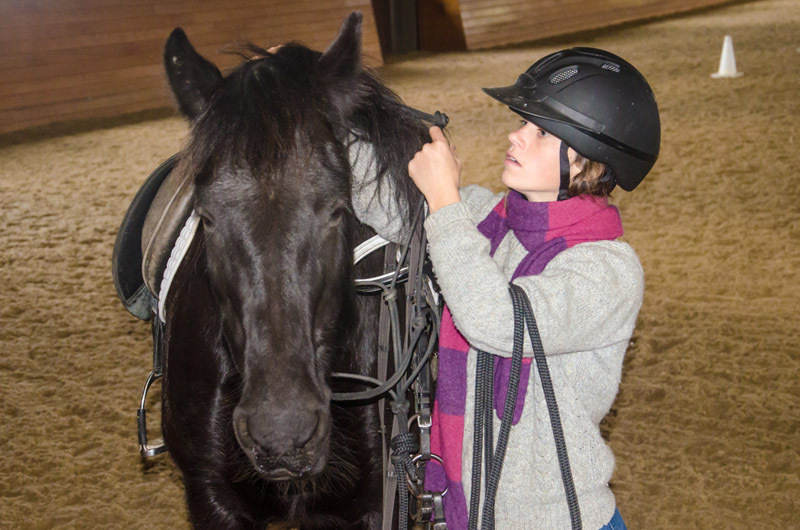 Your gift will allow my granddaughter, Reed, and countless others to fulfill their dreams of caring for horses while learning compassion and empathy, which is sorely lacking in today's society. Outstanding! Another fine example of the kinds of people and the acts generosity that makes MVY such a special place.